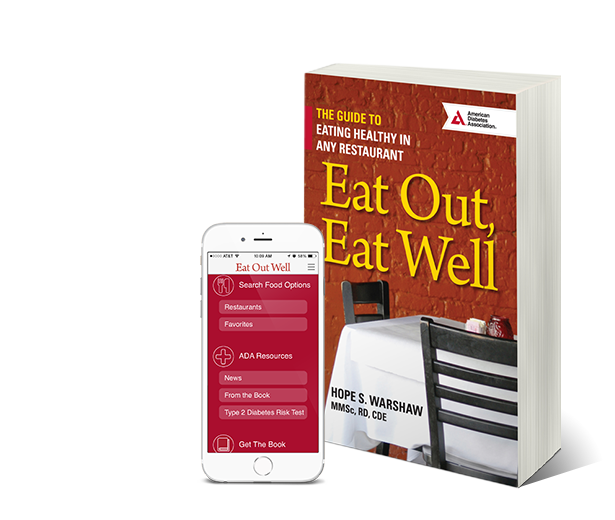 The Guide to Eating Healthy in Any Restaurant and Companion App. Healthy restaurant eating now mission possible! Get realistic tactics and tricks for fast food, ethnic fare, upscale dining, and loads of restaurant nutrition facts on the companion app. Making Smart Food Choices for a Healthier You! Got diabetes? This best-selling how-to guide will help you change your eating habits for good. 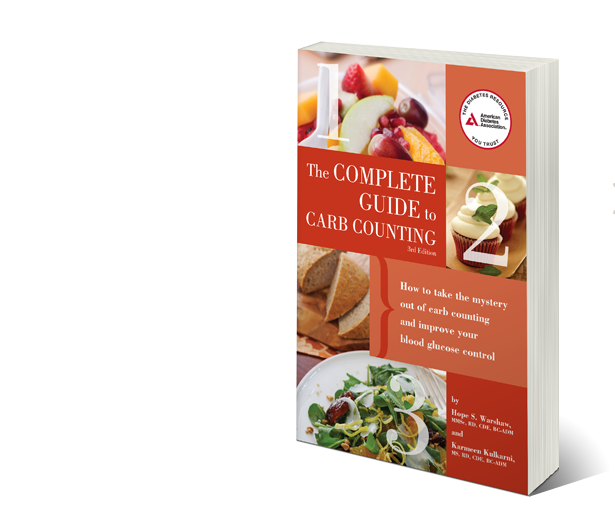 Need to count carbs to manage your diabetes? No sweat with this A to Z guide! 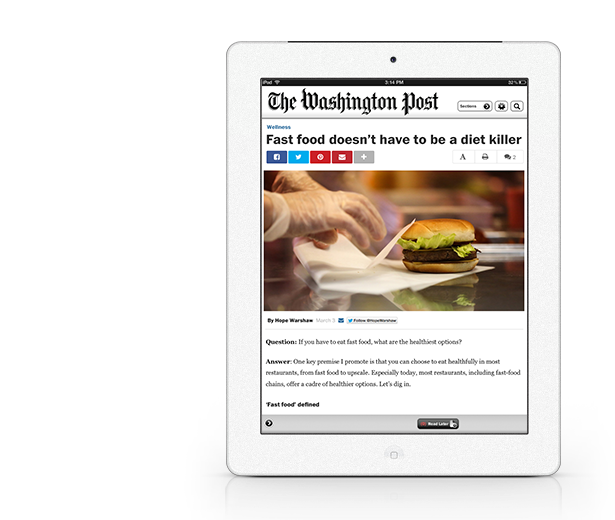 Reliable, readable food nutrition and news. Got a question? Send it in. 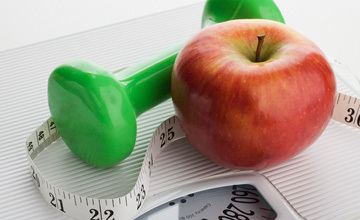 Trending nutrition topics, the latest diabetes research, wisdom about weight control and more. 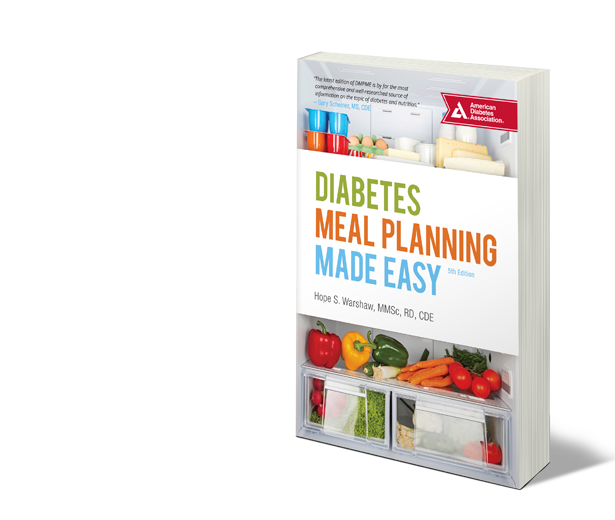 Do you have questions about diabetes, diabetes diets/meal planning or healthy restaurant eating? Find reliable resources and answers here.